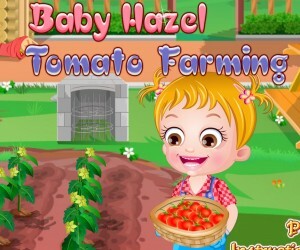 Baby Hazel Winter Fun is a game about a toddler name Hazel. 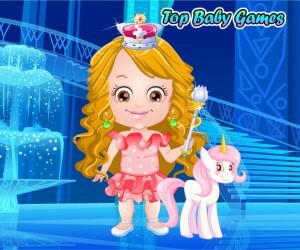 The objective of the game is to complete simple tasks (e.g. handing hazel the glue is just one example). If you fail to complete the tasks Hazel will become unhappy and her happiness level will decrease and you will lose the game. You will start off with five minutes and will be awarded 100 points for successfully following each command. In this game Hazel is out of preschool due to extreme snow. With no school Hazel wants to go outside and play but her mom would not let her at first. After baking Hazel a batch of cookies she was allowed to go outside. You have to assist Hazel and her mom with tasks. One task the must be carried out is making a snowman. The player will use the senor to give her the paper, the scissors and the glue that she will use to build a snowman. Following Instructions: Baby Hazel Winter Fun may seem simple but this game format will work wonders in the classroom. Teachers and parents will see a improvement in following simple instructions. In the game children must click on each item that will help Hazel, and will repeat the task until they get to accomplish it. Decision Making: Decision making is another benefit that can be derived from playing these games. Players must make decisions on where to click on the screen to accomplish certain tasks. They have to figure out where to click and if they fail to do it quickly Hazel will cry. This game can be an excellent tool to teach children basic fundamental skills. Parents and teachers should try it in their classrooms and homes. Enjoy!